McALLEN — For many RGV volleyball players, getting a chance to compete on the collegiate level is a big goal. For Edinburg Vela product Maranda Washington, it’s mission accomplished and more. A lot more. 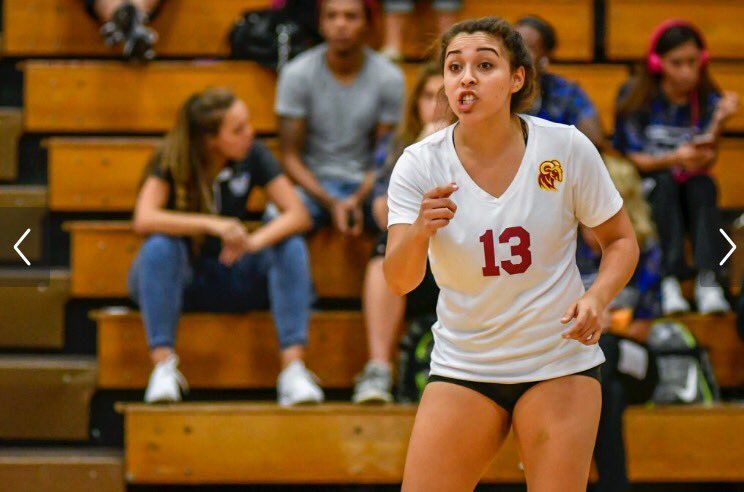 The 5-foot-1 libero just wrapped up the season helping lead her Austin-based Huston-Tillotson University Lady Rams to their best campaign ever. The 21-9 Lady Rams advanced to the Red River Conference (NAIA) volleyball championship game for the first time before finally bowing out to Our Lady of the Lake. What’s more, Washington was named first team all-conference and led her teamwith 440 digs in 105 sets played. Washington, who started at H-T with new coach Dan Behnke in 2015, said every year the Lady Rams would meet before the season and set goals – and she had fun accomplishing them. H-T was 5-25 the year before Washington and Behnke arrived. Washington was a multi-year all-district player at Vela (and also played basketball and ran track), and she played with the RGV Juniors club team. At Huston-Tillotson, she was an all-conference every year, steadily getting better with time. Her freshman year, Washington achieved honorable mention, as a sophomore second team all-conference and then first team this season. Washington recorded 1062 digs in her three-year collegiate career. She said many folks have had a hand in her success, including her parents, high school coaches and her coaches at H-T. The NAIA Red River conference is littered with volleyball players from the RGV at schools like OLLU, Wiley and others. Washington said it made her happy to hear the names of RGV players announced before games, and added that it was a sign that the Valley’s level of play is improving. 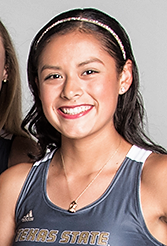 Former La Feria cross country runner Tina Sierra did her best to contribute as a freshman at Texas State. Sierra is on the Bobcats squad that won its first conference title in more than 20 years as it took home the Sun Belt Cross Country championship last fall. Sierra, who earned a bronze metal at the UIL state track meet last spring in the 1,600-meter run, placed 45th among 81 runners in the Sun Belt meet, and she was sixth among her Bobcat teammates in the 6K race. The title automatically qualified Texas State for the NCAA D1 Regionals, and Sierra recorded a personal best 22:45.5 for 127th place among 176 runners. Texas State finished 13th among 24 teams. The D-III American Southwest Conference named Southwestern junior quarterback Frederick Hover to its all-conference first team. 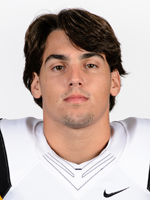 Hover, a 5-foot-9, 190-pound McHi grad, threw for 1,865 yards and 16 touchdowns (112-202, 55 percent completion rate) to just four interceptions in the 2017 season – his first as a full-time starter. The ASC is loaded with stout teams including national runner-up Mary Hardin-Baylor and highly-ranked Hardin-Simons of Abilene. Still, Southwestern managed to finish the season at 6-4, and Hover shined much of the year. The junior also rushed for 1,100 yards and 14 touchdowns. The signal caller even had one touchdown receiving. 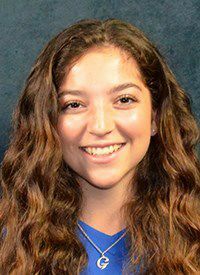 Former McAllen Memorial Mustang Gina De La Garza is doing just fine at a university in Texas that hardly anyone has heard of – even though its in Longview and has a rich and proud tradition. Le Tourneau University is a D-III school with more than 2,000 students and 17 intercollegiate sports including soccer. That’s where De La Garza is making a name for herself as a tough defender who can even score every once in a while. The former all-district captain from McAllen Memorial appeared in 15 games and scored one goal on five shots. The 5-foot-2 sophomore is a defender for the Yellowjackets. 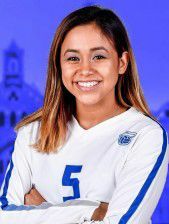 Our Lady of the Lake University libero Marina Martinez was named volleyball defensive specialist of the year by the Red River Athletic Conference. Martinez, a junior from Donna High, was voted by the coaches as the conference’s best defensive player after racking up 478 digs (third most in school history) and directing the Saints’ defense. And she wasn’t done. The American Volleyball Coaches Association named Martinez, a 5-foot-5 Prairie View University transfer, to the NAIA South Central all-region first team. OLLU Coach Jeremiah Tiffin and four other OLLU players picked up regional accolades as well. OLLU went 24-11 over all and 14-0 in RRAC play in 2017.